Grey’s Anatomy (R) is an American medical drama television series. The series focuses on the lives of surgical interns, residents, and attending physicians, as they develop into seasoned doctors while trying to maintain personal lives and relationships. The title is a play on Gray’s Anatomy, a classic human anatomy textbook first published in 1858 in London and written by Henry Gray. The TV show has received numerous awards, including the Golden Globe Award for Best Television Series – Drama. It has received thirty-eight Primetime Emmy Award nominations, including two for Outstanding Drama Series. The cast members have also received several accolades for their respective performances. 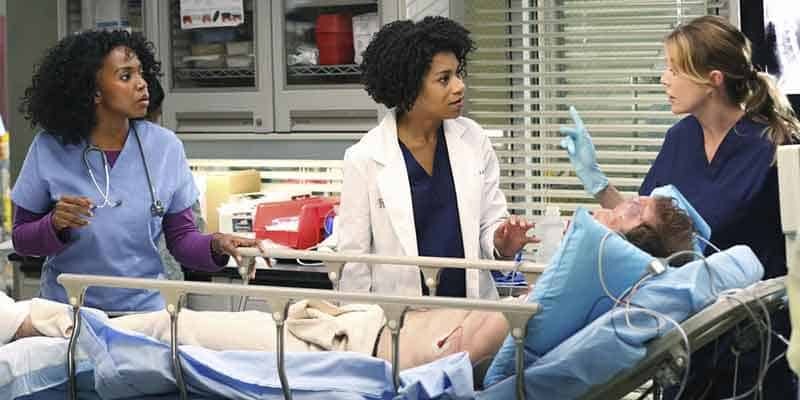 Grey’s Anatomy is the longest-running scripted primetime show currently airing on ABC, the second-longest scripted primetime ABC show ever, and the second-longest primetime medical drama, after ER. The series follows Meredith Grey, the daughter of an esteemed general surgeon named Ellis Grey, following her acceptance into the residency program at the fictional Seattle Grace Hospital. During her time as a resident, Grey works alongside her fellow doctors Cristina Yang, Izzie Stevens, Alex Karev, and George O’Malley, who each struggle to balance personal lives with the hectic work and training schedules. They are overseen during their internship by Miranda Bailey, a senior resident who works for attending Derek Shepherd, the head of neurosurgery and Meredith’s love interest; Preston Burke, the head of cardio, who becomes Yang’s fiancé; and Richard Webber, the Chief of Surgery and attending general surgeon, and lover of Ellis Grey decades before. There are several different ways to watch Grey’s Anatomy without cable. This TV show was aired on ABC. To find which online TV streaming services have ABC as part of their channel lineup you can read our streaming services review. You can use a streaming service to watch on-demand. It is also possible to rent this TV series on Microsoft Store online and to download it on Apple iTunes, Google Play Movies, Vudu, Amazon Instant Video, PlayStation, Microsoft Store, FandangoNOW. Below are our top choices to stream Grey’s Anatomy. Sling TV is a live TV streaming service. You can watch this show live as it airs or you can watch it on-demand. ABC comes standard in most viewing markets on the base channel package which starts at $25/month. The good news is that Sling TV regularly offers free devices if you prepay for a few months. To learn more about this service read our Sling TV review. Netflix is an on-demand streaming service. 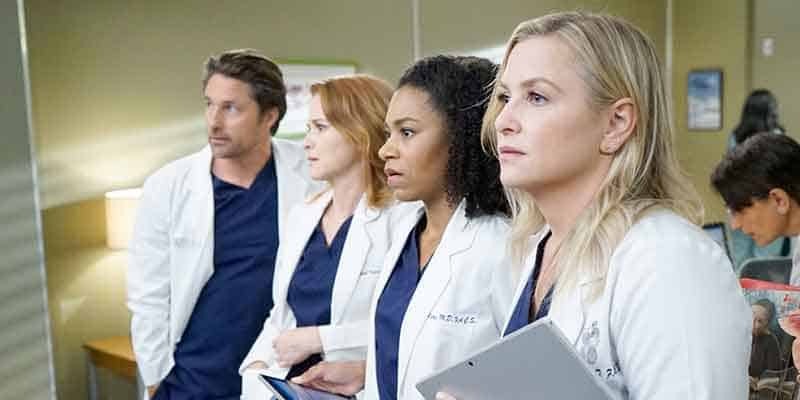 Netflix lets you binge-watch entire seasons of Grey’s Anatomy. This is the least expensive way to catch this amazing TV show as plans begin at $7.99/month. To learn more about this service read our Netflix review. Hulu is both a live TV streaming service and an on-demand streaming service. 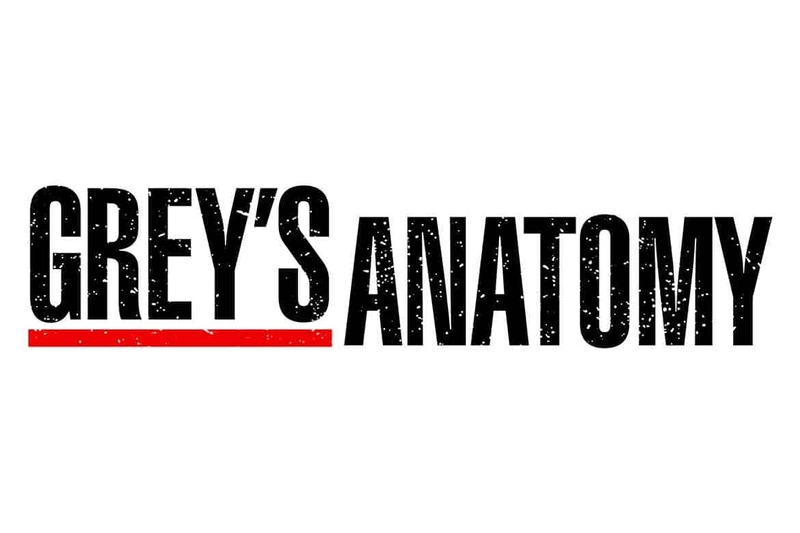 You can watch Grey’s Anatomy episodes on-demand. Plans begin at $39.99/month. To learn more about this service read our Hulu review. This TV show can be found on just about any streaming device on the market. You can stream on a tablet, smart phone, gaming console, desktop, or a streaming device such as a Roku, Apple TV, Chromecast, AirTV, Amazon Fire TV, and more. Here are some of the top devices that can be used to access one of the services that carry Grey’s Anatomy. To learn more click on the icons below or read our streaming device guide. Grey’s Anatomy can be streamed using a VPN. A VPN can unlock content from services such as Netflix and fuboTV. You can bypass blackout restrictions and geo-blocking. A VPN will increase your online security and protect your online devices. This is very useful in the United States but is even more useful internationally. By using a VPN you can view this TV show while in another country. Not every VPN is created equally so we have chosen a few that we believe to be the best VPNs to pair with streaming services such as: ExpressVPN, NordVPN, and CyberGhost VPN.